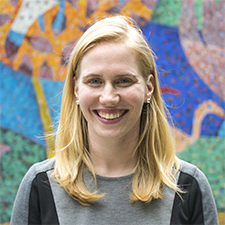 Emily Barr joined EdVestors in 2013 as Office Coordinator and Executive Assistant and currently serves as Manager of Program Support and Analysis. She provides high-level executive support to the CEO and Governing Board, as well as program support and analysis for EdVestors’ initiatives including the School on the Move Prize, Zeroing in on Math, Career Technical Education, and other emerging areas of work. Emily graduated from Bowdoin College in 2012 with a BA in History and Gender and Women’s Studies. She brings experience from an urban education fellowship at Match Charter Public High School.